These flaky biscuits are a wonderful addition to any breakfast! 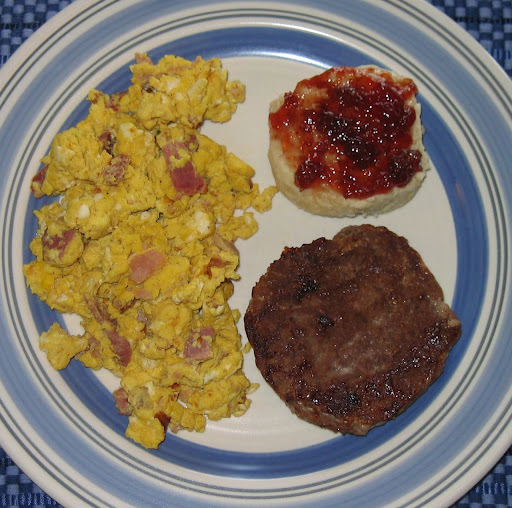 Top them with jelly, butter, or gravy – or just enjoy them plain! 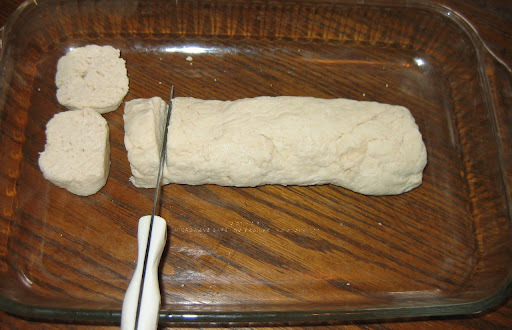 When cutting in lard with a pastry cutter, cover the lard with flour and roll the pastry cutter down – cutting the lard. 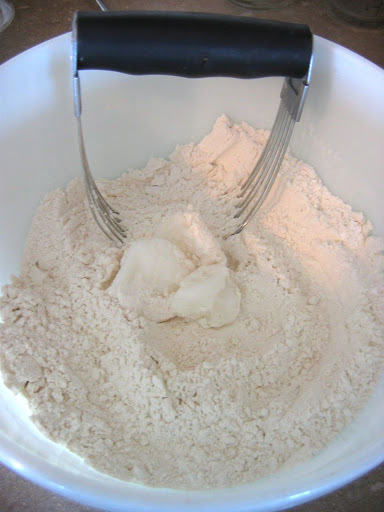 Continue cutting the lard until it is evenly mixed with the flour. 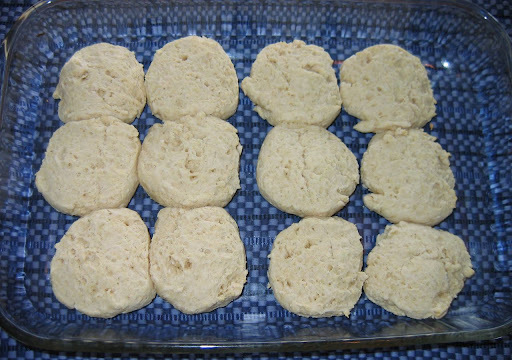 This, rather than blending a softened lard into the flour, is what produces a flaky biscuit. 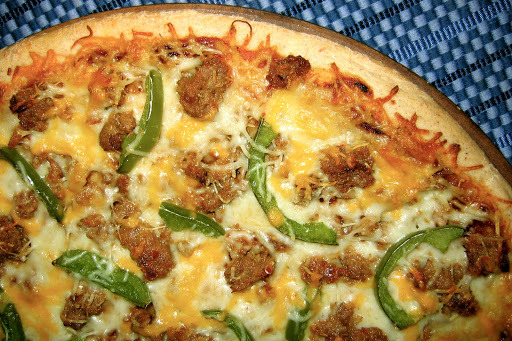 This is the recipe I base my pizza crust off of. I don’t always follow it exactly, but this recipe is my starting point. 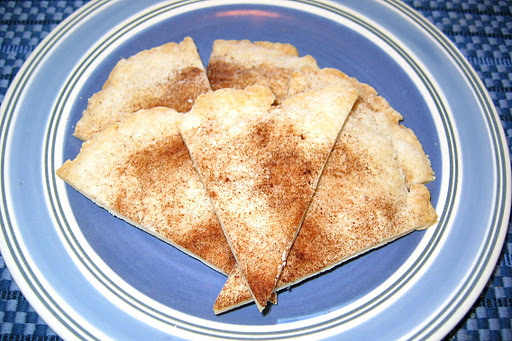 I will double this recipe when I make it and use the dough to make 3 medium thickness crusts. You can use the recipe below to make 1 thick crust or 2 thinner crusts. Toss or stretch dough to fit your pan. This dough freezes well after it has prebaked. I will form my crusts on cookie sheets and cut them in half, freezing them in a 2 gallon freezer bag. When I want to make a quick pizza, I just pull out 2 matching halves, piece them together, and build my pizza as normal. This recipe is the pie crust recipe that my Grandma Anna Rittgers shared with me. It wasn’t uncommon for her to have delicious, fresh apple pies waiting on the counter for us.